Few government forms or processes engender more frustration and hatred than the US Department of Education’s FAFSA (Free Application for Federal Student Aid) form. Yet with just a bit of listening to what people hate about the FAFSA, combined with an innovation framework, I helped create a profitable business. Outside of the college world, FAFSA is just a random acronym. For millions of students, parents, and families, it’s often vehemently spat rather than said. The FAFSA is a government form and process families use to apply for financial assistance for college. It’s high stakes: fill it out well, and your chances for receiving some kind of assistance for college are good. Fill it out wrong, and college remains out of reach. Why did people react to the FAFSA with such vitriol? They hated the lack of assistance they received from the government in filling out the form. They hated the dearth of helpful information. They hated how disconnected the Department of Education was from the Internal Revenue Service, two agencies that collected the same data for different purposes but didn’t share. No one heard their complaints. What if someone listened? What would happen if we put thought into solving these problems? How could we help people and achieve business goals at the same time? To do this, I turned to LEAD, one of my innovation frameworks. LEAD stands for Learn, Experiment, Adjust, and Distribute. The financial aid company I worked for, Edvisors, wanted to listen. We knew the rise of social media gave us the ability to listen better than our competitors, to better serve our students. We wanted to help. We learned what students and families hated most. Talking into a vacuum was top of the list. No one “hugged the haters” of the FAFSA. We listened to what students and parents hated. We listened to everything wrong with the process. We listened to people as they filled out the form, identifying the trouble spots. We experimented. For a fee, we helped parents sort through their taxes and financial paperwork to fill out the form correctly. We produced videos and podcast episodes dedicated to proper form filing so even the lowest income students, as long as they had some kind of Internet access, could get help. We started to hug the haters. We adjusted. We constantly tested, iterating the service offering and beta-testing new features. We axed some parts of our product swiftly. We poured more resources into other features to identify what thrived and what languished. We distributed at scale. Every year, our work made the service more popular, more reputable, and more profitable. By the time I departed Edvisors, the FAFSA consulting business was a sizable minority of the company’s revenue. Hugs were available for everyone—and people were willing to pay for the hugs. This is the greatest threat of ignoring your haters and failing to innovate: Someone else will hug your haters for you. When they do, they’ll take your customers, your revenue, and your business with them. 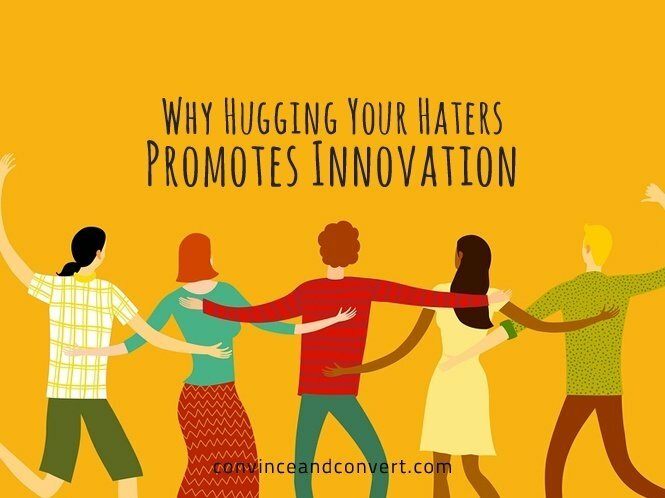 Make this your first innovation: Hug your haters before someone else hugs them first. 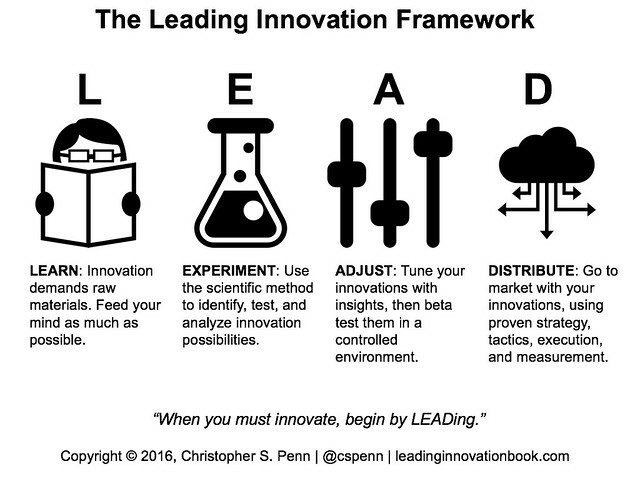 Christopher S. Penn is the author of Leading Innovation, a new book exploring why innovation is important, what it looks like, and how to build a culture of innovation in your organization. Get your copy today at LeadingInnovationBook.com.